What if there was a low cost system to remotely monitor your critical assets that was easy to setup and came with advanced analytical tools and real time alerts to your phone? The Dynapar OnSite™ system is a powerful predictive maintenance system to monitor vibration, temperature and speed with analytic tools and alarms. Dynapar offers a wide variety of rotary encoders for every application including incremental, absolute, miniature, magnetic and optical encoders. Starting with high accuracy resolvers from size 10 to 55, we offer a range of specialty resolvers including high temp and rad hardened models. Ranked by the readers of Control Design magazine as the #1 supplier of encoders and resolvers 3 years in a row, Dynapar is an industry leader in the design and manufacturing of rotary encoder products and brushless/frameless resolvers. 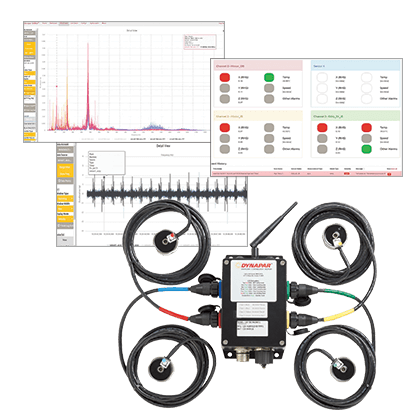 Now offering advanced condition monitoring systems with best-in-class analytics at affordable prices, Dynapar provides sensing technologies that enhance machine reliability around the world.